Most of us don’t drink enough water, but getting your eight glasses a day could improve your skin. Make an effort to have a full glass before bed, as going for a long period without water can leave you with lacklustre skin. Eyes aren’t looking their best but you don’t want to splash out on eye cream? Grab some green tea bags from the cupboard, soak them and then chill for the perfect budget eye mask. If you’re fed up of nails taking too long to dry, there’s no need to splash out on drying sprays. Instead, spritz a bit of spray cooking oil over your nails. This helps to hydrate hands, too. Keeping beauty products such as eyeliner, nail varnish and lipstick in the fridge extends their shelf life and ensures that you don’t waste money buying a new lipstick after your last one melted or snapped. This free trick will help keep your favourite products at their best. If you don’t want to spend extra on a tinted moisturiser or highlighting base, mix a little serum into your foundation to add extra glow. If you don’t use serum, moisturiser will also do the trick. For those with dry hair, masks are a must. Instead of splashing out on salon priced products, leave olive oil in the ends of your hair overnight to rehydrate and after your morning shower you’ll have luscious locks. Make the most of your mascara by popping the closed container in a bowl of hot water and leaving for a few minutes. After this, you should get more uses out of it and save a little cash. Avoid splashing out on a facial scrub by making your own completely natural alternative using store cupboard essentials. Add a small amount of ground almonds to coconut oil and gently rub off dry skin. Whether it’s on the face or body, natural yoghurt is a fantastic calming moisturiser, working equally well on sunburnt skin or winter dry patches. Reach for this fridge favourite before you shell out for an expensive rich moisturiser. Spritzing hair with lemon juice helps to naturally lighten it, saving cash compared to highlights. This fruit bowl favourite can also lend a helping hand if you’re unhappy with your current shade of blonde, correcting brassy tones without the price tag of purple shampoo. This wonder product is a great nail strengthener. 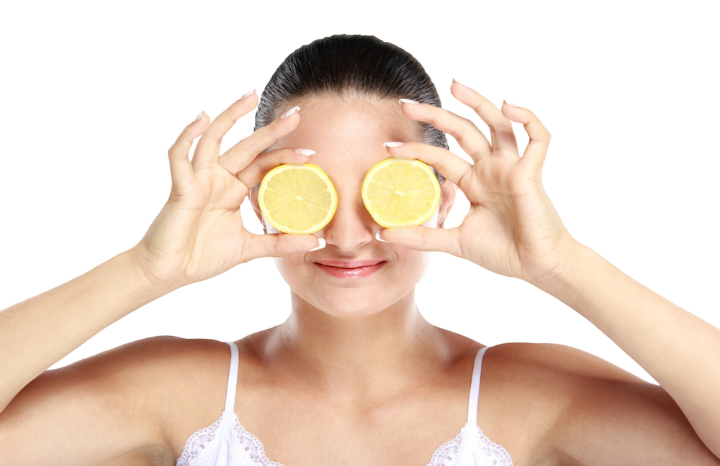 Rest hands in a bowl containing lemon juice and warm water to strengthen nails and remove any leftover colour. To create a free body scrub, mix in leftover coffee grinds with your usual shower gel and use in the shower for a free pamper session. If you have raw honey in your cupboard, don’t just use it in porridge. Apply this natural treat as a face mask to get plump, hydrated skin. Lack of sleep leaves skin looking dull, so save on serums by ensuring you have a good night’s sleep. Adding this to your beauty regime helps to cut back on skincare steps and the extra make-up needed to cover dark circles. Thanks to PromotionalCodes.org.uk for sharing these tips. Plus read how to make your post-holiday glow last all year here!